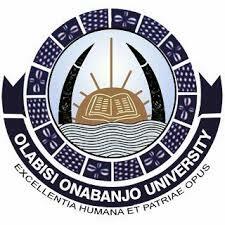 This is to inform all the students and staff of the Olabisi Onabanjo University (OOU), Ago-Iwoye, Ogun State, that the management of the institution has announced the resumption date for the commencement of academic activities for the 2018/2019 academic session. OOU management has pronounced Tuesday 2nd October, 2018 as the official date of resumption for both freshers and returning students. Furthermore, all returning students are expected to complete payment of fees and end all registration processes on/before Wednesday 31st October, 2018, while Freshers are expected to complete payment of fees and end all registration processes on/before Friday 16th November, 2018. Freshers should also note that Wednesday 21st November, 2018 has been scheduled for the matriculation for fresh students. We wish all OOUites a better and excellent session ahead.